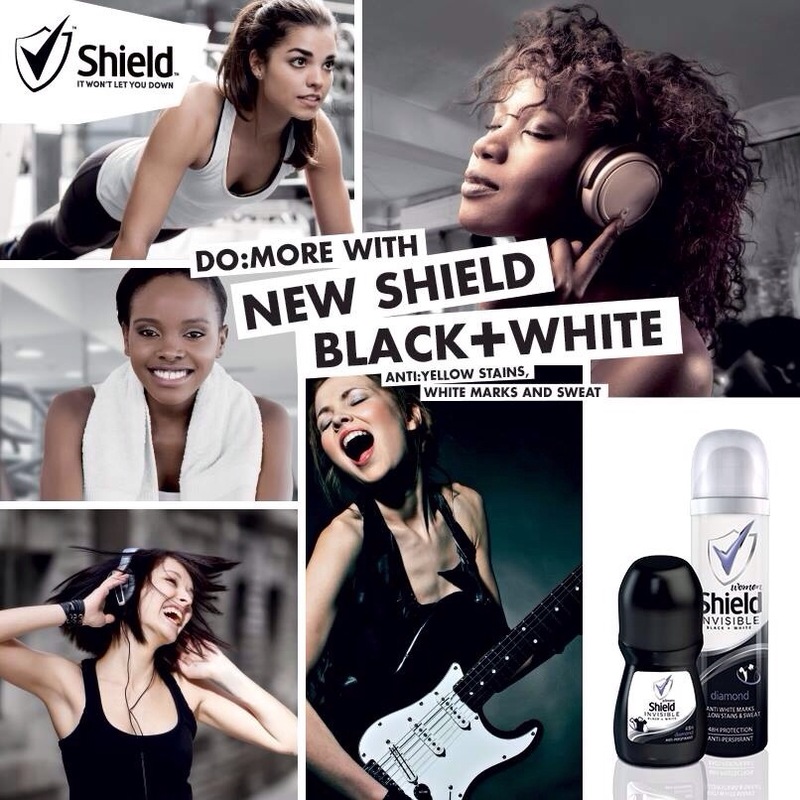 Recently, a package filled with the new Shield Black + White goodies found its way to my doorstep and being a fan of Shield for a while now – thanks to the Shield’s Teen Range which kept me fresh through those dreaded PE lessons in high school – I was excited to try these babies out! 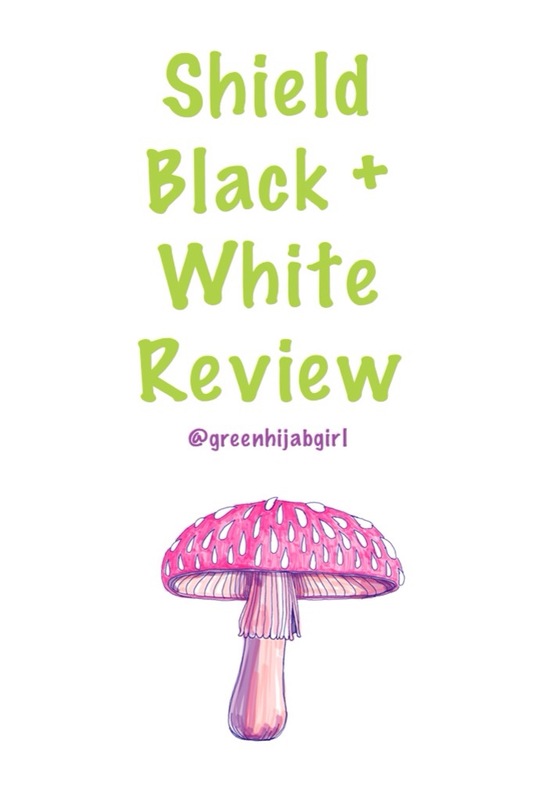 So what is this new Black + White range all about? 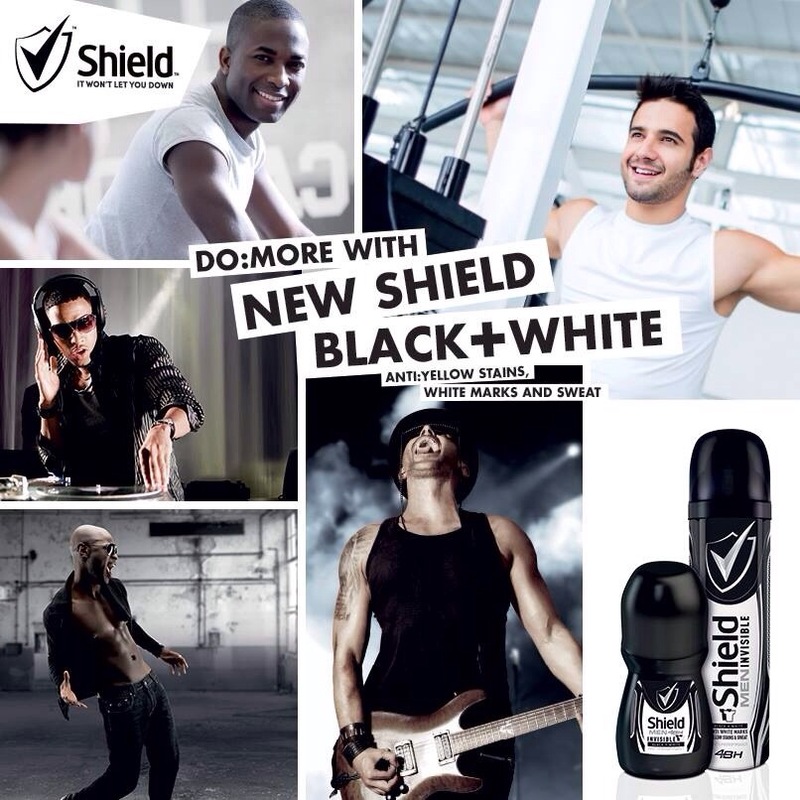 New Shield Black + White gives active men and women the confidence to lead their DO:MORE lifestyles, free from yellow stains and white marks. It’s basically a deodorant that offers you the freedom to wear whatever you want and to do whatever you wish without having to worry about sweat, white marks and yellow stains spoiling your fun. Well, has it achieved this? Yes, yes and yes! Being someone who wears black often and who leads quite an active lifestyle – running from lecture to lecture – I was the perfect person to test this out. To test the aerosol deodorant out, I sprayed a little of both the men’s and women’s B+W aerosol on my pants, waited a few seconds and BAM! no white marks! The scent was still there it was just that the physical evidence of the deodorant that disappeared – which is great, if you ask me! Next it was the roll on deodorants turn. Now, I could have tested this one out by simply slicking it under my arm and then throwing a black tee over to see the results, but I didn’t. I needed to know that it really did work so I grabbed an old black T-shirt and applied both the men’s and women’s deodorant directly on to the tee – and once again no white marks. Once the ‘No White Marks’ test was completed, I moved over to the ‘No Yellow Stains’ test by simply swapping the black clothing for white and yet again, the new Shield Black + White passed the test. To be honest, I wasn’t expecting these products to work. I’ve tried many products in the past promising to never let you endure the embarrassment of white marks and yellow stains and time after time, I was left disappointed. It’s great to see that it actually did work, otherwise I would be an extremely unhappy owner of some stained clothing! So you are saying that the new Shield Black + White is worth a try? Definitely! For once, a product actually delivers on what it promises to deliver, which makes it a winner in my books! You can pop these babies into your gym, work or campus bag to keep you fresh and smelling great all day long. And the best news is that the aerosol deodorant retails for only R22.99 and the roll on deodorant for just R16.99 – so like now I’m wondering why you wouldn’t buy it?? Here’s to smelling and looking great!